Oregano Essential Oil is reported to have antibacterial, antifungal, antimicrobial, antiseptic, fungicidal, diuretic properties. Warm, spicy, herbaceous, and camphoraceous aroma. Oregano is native to warm temperatures in western and southwestern Eurasia and the Mediterranean region. Oregano was used in ancient Greece to treat bacterial infection on wounds as well as a protective layer on skin. The word original comes from a Greek word “oreganos” meaning “joy of the mountain”. Oregano is a robust perennial herb and is a member of the mint family. However, many people say that oregano is very similar to thyme. Oregano is native to Europe, but can easily grow in full sun and usually later in the warm season. The essential oil of oregano is attributed with being antibacterial, antifungal and anti-inflammatory. 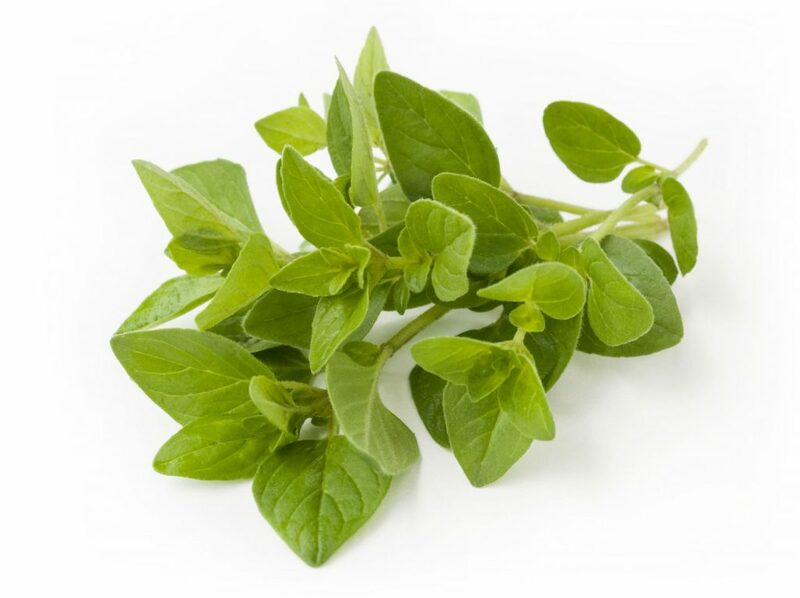 * The fresh leaves of the oregano plant are steamed to extract the essential oils for medicinal uses. For example, oregano oil can be used to help loosen build up in the respiratory system as needed. When applied to a skin fungus, oregano oil works well to stop and protect against fungus as well as colds and other immunity systems defenses. * This oil can be used topically on the skin for its anti-inflammatory properties. When using a quality oregano essential oil, you can make your own hand sanitizer very easily. To do so combine 10 drops of oregano oil with two tablespoons of coconut oil then rub it into your hands as a natural hand sanitizer. Adding a few drops of oregano essential oil to a load of laundry will kill bacteria and parasites while leaving your clothes smelling nice and fresh. You can also use oregano oil to support nasal congestion. Simply add one or two drops of the essential oil onto a clean washcloth and inhale the vapor. This has been said to be very beneficial for breaking up nasal mucus as well as providing relief from allergies. Oregano increases flexibility, devotion, nonattachment, humility and decreases excessive willfulness and pride. If using Oregano for emotional wellness, try using it with our free EFT Tapping scripts for Protection which help release these emotional issues. Many different essential oils will blend well with oregano and its rich, warm scent. Blends well with bay laurel, eucalyptus globulus, lemon, lavender, oakmoss, orange, petitgrain, pine, rosemary, tea tree and thyme. May interfere with blood clotting. Avoid using if pregnant or breastfeeding. Do not use on children under 2 years. Those with hypersensitive, diseased, or damaged skin should avoid skin contact.